“On behalf of the entire family, I want to THANK YOU ALL SO MUCH for the outpouring love and support you have shown during Larry’s illness and now at the time of his passing. Your love and friendship means more than I can say. There have been hundreds of posts and messages and it’s just overwhelming! He touched the lives of so many and each and every one of you had a special place in his heart. Below is a copy of his obituary, which will be public in the next day or two but thought it appropriate to post it for “his friends” first. STEELE, Larry Lynn, 65, passed away peacefully in the presence of his loving family members on October 9, 2017 after a three year battle with cancer and has begun his eternity of joy with our savior and Lord Jesus Christ. 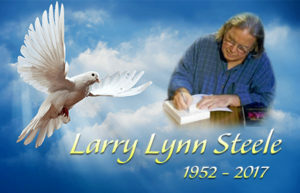 Larry was born on September 20, 1952 in Atlanta, GA. He was loved and was preceded in death by his parents, Donald _ Steele and Mildred Harris-Steele; and his brother+-, Gregory “Bo” Steele. He is survived by his loving wife of 13 years, Theresa M. Steele; his son, Matthew Steele and his wife, Noni; daughters Mary Lauren Steele and Bethany Steele-Lyke and her husband, Antonio; a step-son, Colton M. Kidde; ten beautiful grandchildren; a brother, Reverend Scott Steele and his wife, Marie; and a sister. 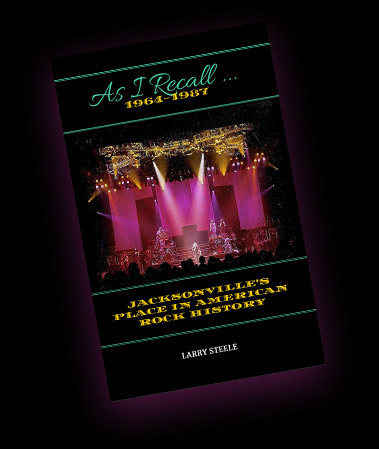 Larry was loved and respected my so many and his legacy will live on in his recently published book, “As I Recall…Jacksonville’s Place in American Rock History.” Former 38 Special stage manager and co-writer, Larry was able to recall, first-hand accounts of growing up on the Westside of Jacksonville. 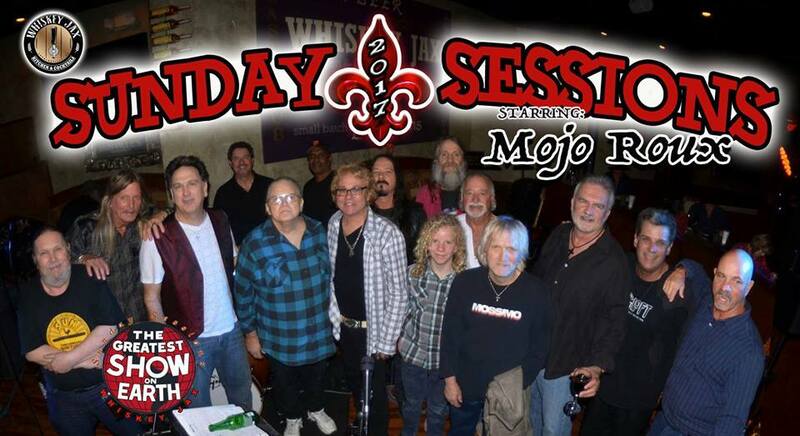 After years of performing with various bands in the North Florida area, including Lynyrd Skynyrd in 1973, he then went on to work with 38 Special in 1980. From the rehearsal halls to the recording studios to headlining the most renowned concert venues in North America, Europe and Japan before retiring from the road in 1987, he LOVED the life of Rock and Roll. He will forever live in our hearts and will be missed not only by his wife, children, grandchildren and his extended family, but my hundreds of thousands in the music world. He loved spending time with his family, his extended music family, playing his bass and without a doubt, with is dogs. He will be sorely missed by all who was fortunate to know him and his light will shine on forever in the joyful stories and memories that he left behind for all of us. 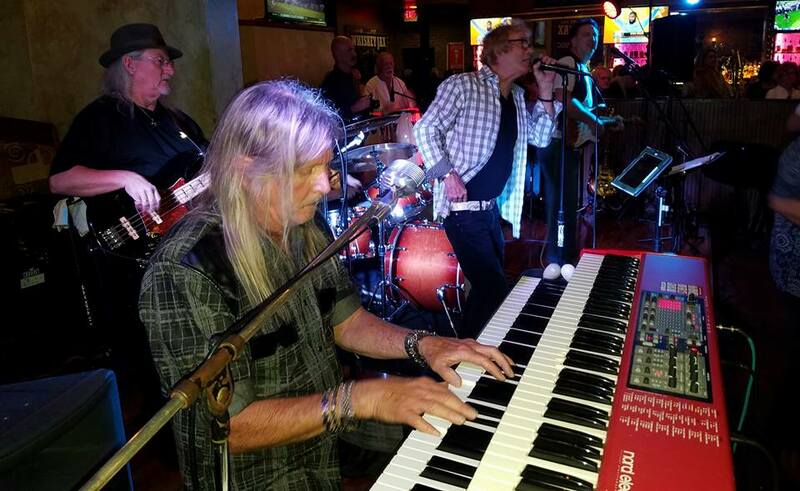 Special Thanks to Whiskey Jax – Baymeadows for hosting such a rockin’ book signing! 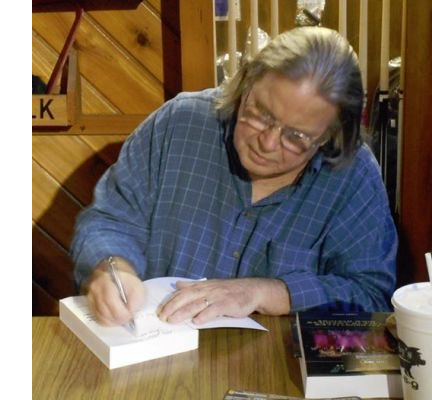 Larry will be signing books at Clark’s Music Center Swap Meet on February 25th from 10am to the end of the meet at 5PM. Stop by to grab a book, meet Larry, hang out with some great people and checkout some great musical equipment for swap. 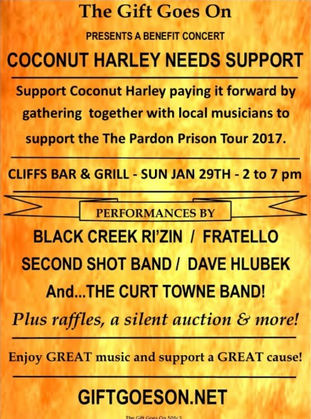 THE PARDON PRISON TOUR 2017 WAS A HUGE SUCCESS! And that’s because of all of YOU who were there to help! Besides being an amazing musician, Butch had a vast knowledge of rock and roll, which he was always willing to share.